Photographed at Kellys Slough NWR, North Dakota (13 May 2010). Note female's apparent reluctance to interact with two males. 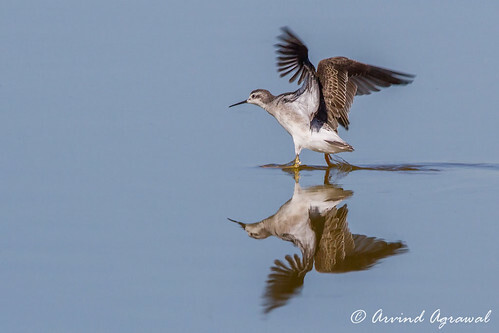 Wilson's Phalaropes, (Phalaropus tricolor), feeding, preening, swimming. 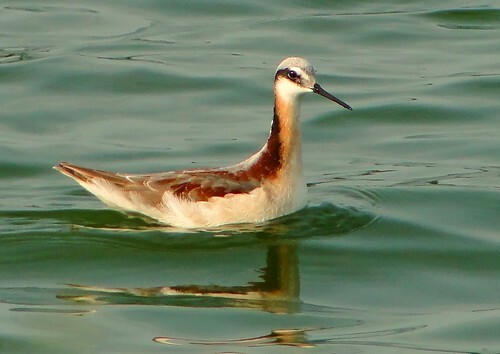 The Wilson's Phalarope is a delicate, elegant, feverishly active shorebird. Click "Subscribe" to be notified of new movies. 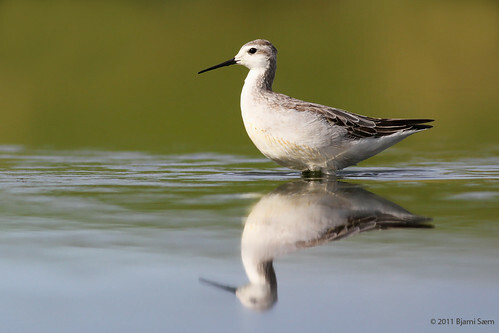 Wilson's Phalarope forage in Montana. Note their characteristic spinning, which creates whirlpools in the nutrient-rich waters, stirring up invertebrate prey and bringing it to the surface. Video recorded by Timothy Barksdale/Macaulay Library/http://macaulaylibrary.org/video/420088. For more bird videos and sounds, explore the Macaulay Library at the Cornell Lab of Ornithology, http://macaulaylibrary.org. Wilson's Phalaropes (Phalaropus tricolor) spinning while walking at Damonte Ranch wetlands in Reno, Nevada, USA on 24 July 2015. These birds, and other phalaropes, often feed by spinning while swimming—this action pushes small organisms toward the surface. I'm not sure how common it is for them to do this while walking.